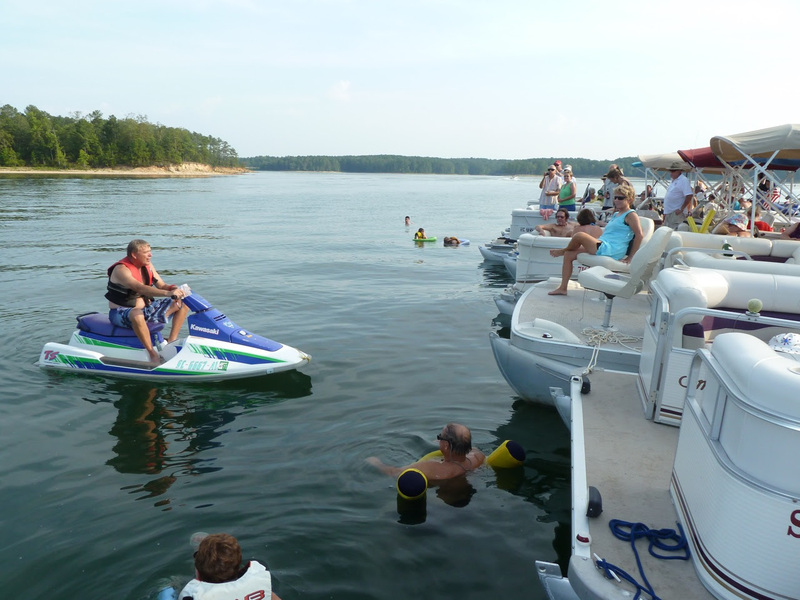 You are here: Home » Any Topic » COMMUNITY RAFT-UP … AHOY, ALL SLV BOATERS & CREW! We will drop anchor in the national forest in the small bay up Little River, taking the west fork near the Long Cane Launch Ramp. Approximate GPS coordinates: N33 55′ 40″, W82 24′ 30″. Look for the Squadron Flag. For those not versed in GPS, or not comfortable navigating under the Huguenot Bridge, a flotilla will leave the bay in front of Baker Creek at 1330 (1:30pm). Likely, most will travel this way. Join us for an afternoon of fun, socializing and enjoying the beauty of our national forest home! Current long-term forecast: 76 Degrees, sunny, with zero chance of showers. Hosted by Thurmond Lake Sail & Power Squadron . your SLV boat club and a whole lot more.